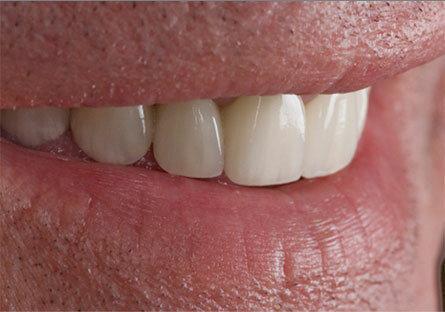 Cosmetic dentistry has been on an upswing for some years now, and dentists have noticed the increasing demand. But not all dentists are equally qualified or experienced in doing cosmetic procedures. How can we distinguish among them and find the right cosmetic dentist for ourselves? People you know – friends, family, co-workers, neighbors — can give you some names. So can the phone book. But people can relate their experiences, and since you know the m, you can assess their recommendations to some extent. If you know someone tends to be very critical, or habitually over-charitable, you can make allowances for that, read between the lines. Most dental offices have websites, where you can learn which associations the dentists belong to, where they went to school, what qualifications they’ve acquired since their basic dentistry degree, etc. Most dental schools offer only basic courses in cosmetic dentistry. So to become expert at it, a dentist must take seminars and workshops. Innovations and new techniques must be learned, and that means hands-on experience, not just reading a dental journal. Dr. Miller has done a comprehensive series of post-doctoral courses at the Seattle Institute for Advanced Dental Studies (Spear Education). He is presently a Visiting Faculty member of Spear Education to assist in mentoring dentists from around the world in cosmetic dentistry. As well, he continually puts in more hours to keep up with the perpetually advancing techniques of cosmetic dentistry. When you have a short list of names, call to make appointments. These should be free; if they’re not, move on. 4. Prepare a list of specific questions to ask your potential cosmetic dentists. Take the list with you and check off each question as you receive an answer. Make sure you understand the answers fully and ask for further clarification if you don’t. Is it calm and well-organized? Do the staff seem kind and courteous? Does the dentist have time for you? If the dentist seems impatient or reluctant to explain things, think twice before choosing him or her. You’ll be entrusting your health and appearance to this person, so you’ll want to feel comfortable and well-cared-for. Dr. Miller and his staff treat patients like family. In fact, the staff itself is like a family and 4 of them have been at the office for over 20 years. Most dental insurance doesn’t cover cosmetic dentistry, but many dentists offer financing options. Choose a dentist who’ll work with you to arrive at the easiest way of taking care of costs. Dr. Miller offers several low-interest financing plans and will work one-on-one with you to find the best financial solution. When you make your final decision, trust your instinct. Assuming two of the dentists have equally good qualifications and equally pleasant offices, choose the one you feel most comfortable with.